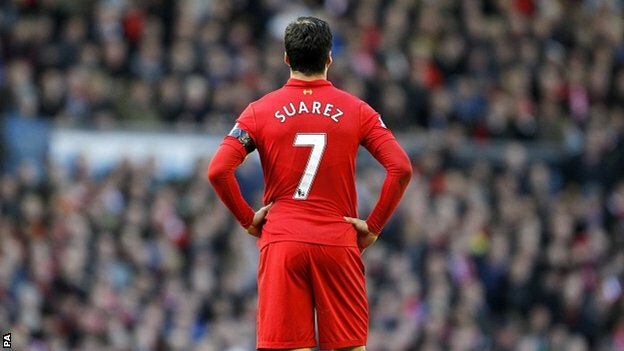 Liverpool made it official on Friday, agreeing to a £75 million pound deal with Barcelona for striker Luis Suárez. And so ends one of the more bizarre three years for a player and a club. It’s hard to know how much Liverpool will miss Suárez, who is as talented as anyone playing the game when he wants to be. But the fact that the club no longer trust that Suárez won’t do something stupid on the pitch makes the move a necessary one. After his latest incident at the World Cup, it seems pretty clear that club officials decided they needed to do something while they could still get top value for Suárez. And it is not hard to think they felt a bit betrayed, as well, as the club has done nothing but support Suárez from the moment he arrived from Ajax in January 2011. The signings give Liverpool not only depth but also makes them one of the youngest teams in the Premier League. Manager Brendan Rodgers clearly had a plan in place for the summer on how to improve the team and the club has been very strategic on building a roster that withstand the rigors of a return to Champions League play. Speaking of the Champions League, it was good to hear earlier this week that Rodgers plans to limit Steven Gerrard’s playing time this season in an effort to keep the 34-year-old captain fresh for the biggest games. If the club’s talent evaluators are correct with their off-season moves, there’s no reason that Liverpool can’t get past the likes of Burnley and Queens Park Rangers without Gerrard, while saving him for the big moments. Suárez will be missed, not only for his goal-scoring but also for his capacity to continually surprise us, but it was time to move on. Now he’s Barcelona’s problem, for better or worse. As the national media continues to make Johnny Manziel a national story while simultaneously criticizing that Manziel is a national story before playing in an NFL game, we’ve kind of grown numb to the mindless babble. But a column this week from Sally Jenkins at The Washington Post caught our eye for the sheer stupidity of what she wrote. The entire premise of the column is based on the assumption that Manziel will continue to act like this once training camp and the season starts. But why are people so quick to jump to that conclusion? Where is there any evidence that Manziel will be hitting the Vegas party scene once the real work begins? There isn’t, which is what makes stories like this so much drivel. Seriously? Because a young lady wants to attend a baseball game with a professional athlete that automatically makes them a Hooters waitress or “something worse”? (Gee, whatever could you mean?) Why can’t they just be friends who went to a ballgame? We can’t believe that made it through the editing process and can only imagine the reaction if it had been a male who wrote that line. Look, we’re not in denial about all this. It would probably be better if Manziel slowed it down a bit, but he hasn’t done anything other than enjoy himself. Just because he has a drink doesn’t mean he’s a drunk, and it’s not like he’s beating up people outside of nightclubs. Luckily for everyone, this issue is going to be resolved in two weeks when training camp opens. If Manziel hits the first plane out of town every time the Browns have a break, or on off days this fall during the season, then there will be a problem. Until then, it is way beyond time for the media to find a new target.